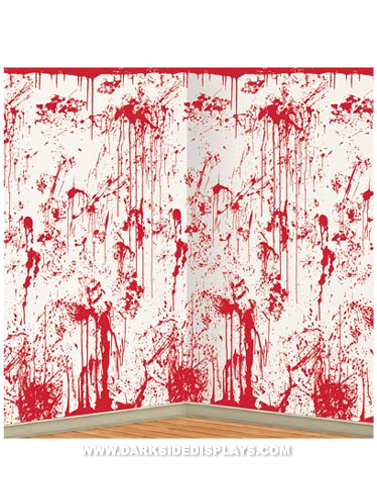 Insta-Theme Bloody Wall Backdrop will transform your room or outdoor space into a bloody massacre scene. Gruesome image of a blood splattered white wall is printed on transparent plastic. Hang with your adhesive, or sticky tack, sold separately. Insta-Theme Bloody Wall Background measures 4'H x 30'W (48 in. x 360 in).